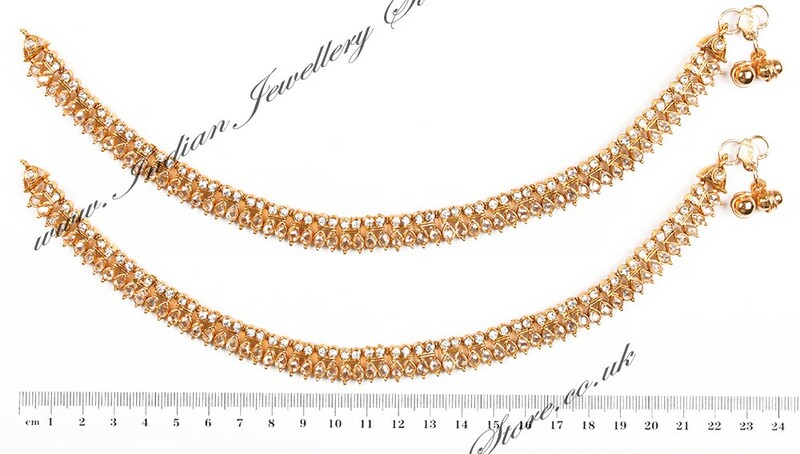 Pair of Payal (Indian anklets) in 22k gold plated with mild antique and clear white, set with polki stones. Other colours available. Scale shown in image is in cm.